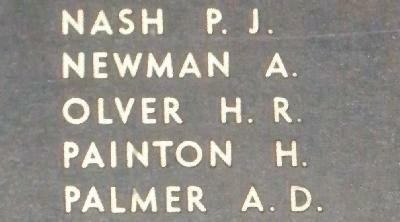 War Grave Register notes: OLVER, Tpr. Harold Reath, 604, M.M. 2nd Australian Light Horse Machine Gun Sqdn. Killed in action 4th Aug., 1916. Age 25. Son of Dr. William Reath Olver and Minnie Olver, of Chatswood, New South Wales. Native of Sydney, New South Wales. B. 37.